My favourite feminist, Clementine Ford, wrote this week about her experiences giving birth to her first child. I’m sorry to have to admit I was deeply disappointed with the way she framed her birthing decisions, and the sanctimonious judgement and culture of expert-doctor-mistrust which makes these decisions for all women, more difficult. It’s worth describing my own experiences in this area. I am a twin and was born via caesarean, which is the safest way to deliver twins. When I gave birth to my daughter just over a year ago, I went into labour two and a half weeks early and, with the help of the blessed relief of an epidural, delivered my daughter after 16 hours of labour. My twin sister had her first baby 10 weeks before I gave birth. She was induced two days after her due date, and after 12 hours in labour, her obstetrician judged that the labour wasn’t progressing because her son’s head was too big to pass through her birth canal. So she was rushed into the operating suite and had an emergency caesarean. It did occur to us all that my sister and her baby would likely have contributed to the huge statistics of maternal and infant mortality had they been in the same circumstances 100 years ago. But of course, my twin sister and I might not have been alive ourselves had we not been born via caesarean 35 years ago. So all in all, the wonders of modern medicine get a big round of applause in our family. What really upset me about Clementine’s description of her decision to reject an obstetrician’s advice to be induced soon after her due date, and instead to go into hospital on her own terms 36 hours after her water broke at 43 weeks, is that she is upholding a cultural expectation through her public telling of this story, that there is something wrong with ‘giving in’ to the advice of doctors. And that anything other than a natural birth is a failure. To put it frankly, it is incredibly dangerous to have a child at 43 weeks. As an obstetrician commented below Clementine’s post, much more calmly than I feel able, the statistics, the science, is clear about this risk. One in 300 babies born at 43 weeks (3 weeks after their due date) are stillborn. So when a doctor advises that a woman who has seen her due date come and go consider an induction, it’s not because the doctor is trying to take away the woman’s right to choose the circumstances of her birth, it’s not because the doctor is trying to dictate the terms of the birth in order to advantage the doctor in some way, it’s not because they want to bully the woman by using words like ‘stillborn’ or force the woman to not have the natural birth experience they dreamed of having. The doctor advises an induction to minimise the risk of the baby not surviving. The doctor is doing their job to deliver a baby safely. This job, to again be blunt, is far more important than looking after the feelings of the mother. Full stop. I find it hard to believe women in modern society, where we have so much scientific advantage over previous generations, who played Russian roulette during childbirth, aren’t more grateful for the advice and assistance they get from doctors. In fact, rather than be grateful, many women seem to instead mistrust the doctor’s advice and claim they, as the intuitive mother, know best. The anti-vax movement is caused by this exact same phenomena. Mother knows best. Intuition and ‘feels’, and an obsession with exerting full control over every medical decision, ahead of expert provided medical fact. So back to cultural expectations. Why did Clementine choose not to be induced? Is it because she judges a natural birth as superior? Is it because she judges a woman who gives birth naturally to have done a better job of the birthing process? I find it hard to see anything else in her words, which are imbued with a sense of self-righteous post-justification of her decisions, and martyrdom in claiming to have waited for things to occur naturally, even if that made her difficult wait longer and harder. The thing is, I’ve seen this attitude so many times before. I’ve seen the way society looks disappointed when mothers tell the story of ‘giving in’ to an emergency caesarean, or being embarrassed to admit they elected to have a caesarean because it was the safest way for them to give birth. I’ve heard about the birth plans that women make, to do it all naturally, to be at home, in water, and to not take drugs, which, whether they mean to or not, are automatic judgements of ‘weak’ women who have gone before them and had every drug the hospital offered to get rid of that god-damn-pain thank you very much. I remember the women in my pregnancy aqua-aerobics class who proudly announced they’d achieved their goal of a VBAC – a vaginal birth after caesarean. So they had to ‘give in’ the first time, but the second time, they did it naturally, and that apparently earns them even more bragging points than a natural attempt first time round. This behaviour by mothers is the Mobius-loop of society judging mothers. Clementine’s piece surely wasn’t meant to judge, but it backs up the judgement, a judgement which in turn makes it hard for women to make smart, expert-informed decisions about the safest way to deliver their child. The thing is, this judgement around childbirth is just the start of a judging journey for mothers which continues into every facet of parenthood. This judgement, the expectations of perfection in all things parenting, the ‘right’ way to do things, has a negative impact on a new mother’s confidence, security, faith in her own decisions, and her overall mental health at a time in her life when she is particularly vulnerable. From the breast-is-best breastfeeding brigade, to the organic foods only army, to cloth nappies versus disposable, to unpasteurized milk, to whether you choose childcare and a job over mother-of-earth stay-at-home sanctimonious ‘mamma bear’. Choose the wrong decision and the judgers’ judge you to have failed. There is already enough judgement out there thanks Clementine, and I’m so disappointed you’ve added to it from your privileged position of popular feminist commentator. I wish you the best of luck with motherhood, which, as I’m finding after a year is so much more than the challenges of labour. All I ask of society is to celebrate childbirth, however it happens, and to minimise the risk of things going horribly wrong. I don’t think that’s too much to ask, is it? Thank-you, Victoria. I agree 100% with your comments. Victoria, again your articles are always based on common sense. Of course the best people to judge the best way to give birth are the doctors who are experienced in the birth process, much in the same way that a mechanic is best able to diagnose problems with your car. Perhaps I could have chosen a better analogy but I always take the advice of the experts. “Birth is judged best by doctor’s (sic) experienced in the process”? What about the mother’s thoughts, feelings, sensations, instincts, intuition, knowledge, research, personal choice? Women are always being encourage to surrender their power and it’s usually to men. Must they surrender their power in childbirth as well to a medical professional that is dominated by men and where sexism and misogyny is rife? I think Victoria has taken Clementine’s thoughts and writings personally when her piece was intended to be about her, Clementine, not about you, Victoria. And what you have written here could very well be interpreted by women readers in exactly the same manner as the charges you are levelling at Clementine. You are making judgments yet calling out someone else for making their own judgments. Minimising risk is one thing. Letting go of personal choice and power in a situation where many variables exist, and surrendering to the whims of a medical profession where not even all doctors or specialists are in agreement is another. The medical profession gets it wrong all the time, and they get it wrong in the area of childbirth too. Doctors are not Gods. They are people, people who err. We therefore must all make our own choices based on the information that makes sense to us as intelligent women in control of our lives. If you agree with this statement, as you suggest in this piece, then you will respect Clementine’s right to make her own choices also, even if her choices differ from yours, Victoria. As for your comment that “Clementine’s piece surely wasn’t meant to judge, but it backs up the judgement, a judgement which in turn makes it hard for women to make smart, expert-informed decisions about the safest way to deliver their child” I suppose you mean that doctors are the experts on whose expertise we must rely? If this is the case then I beg to differ. Women are the experts in our own lives. And while we avail ourselves of a wide range of information before making important decisions, the final decision ought to be one that resonates for us using our intellect and critical thinking. I cannot regard any doctor as an “expert”, merely a person who is offering information that I add to the mix of what I already know and what I choose to inform myself of. No final decision ought to be left to any doctor, or anyone other than ourselves. Victoria I mostly agree with your comments with a few reservations though. I myself am a twin born naturally and 67 years ago. I also had twins myself and was a practising Midwife all of my working life. I only retired last year. Now as you can appreciate I was present at many births as the birth suite was my main area of expertise. In my case my twin pregnancy was my fourth pregnancy having had three previous normal births. Each of my pregnancies was planned and I had an excellent rapport with my Obstetrician. I was actually booked into two hospitals one being a tertiary unit in Sydney and the plan was if I went into labour before 37 weeks I would go to the tertiary hospital and if I went into labour after 37 weeks I could go to the smaller suburban hospital where I was working at the time. The other condition we planned was if there were any complications at all I would have a Caesarean Section but if all conditions were met I would try for a normal birth as in reality apart from being a twin pregnancy I was a low risk as this was my fourth pregnancy. As luck would have it I actually went into labour at 37 weeks and both babies were presenting head first so I was comfortable going to the hospital where I was working. I only had one hours labour and my Obstetrician made the birth. Both babies were healthy with no problems. My point in telling my story was to point out with careful planning you can have a normal twin birth. I would say the main reason most Obstetricians insist on routine Caesarean Section for twins is the fear of litigation. But apart from that as I said earlier I do mostly agree with your comments but I do think Obstetricians could listen and try and accommodate their patients’ wishes when it is safe to do so. I left a comment here yesterday about this article. Why was it removed, Victoria Rollison? Is it because I disagree with your stance and explained my reasons why in a credible manner? Is this what your blog is about, silencing dissenting voices? By the way I have posted my comment elsewhere on social media as I note your article has been published in the AIMN. If you are going to put your thoughts out into the world then you are encouraging comment. But it is rather fascist to remove comments that don’t particularly agree with your position but put forward a considered case as to why. “Birth is judged best by doctor’s (sic) experienced in the process”? What about the mother’s thoughts, feelings, sensations, instincts, intuition, knowledge, research, personal choice? Women are always being encouraged to surrender their power and it’s usually to men. Must they surrender their power in childbirth as well to a medical profession that is dominated by men and where sexism and misogyny is rife? I think Victoria has taken Clementine’s thoughts and writings personally when her piece was intended to be about her, Clementine, not about you. And what you have written here could very well be interpreted by women readers in exactly the same manner as the charges you are levelling at Clementine. You are making judgments yet calling out someone else for making her own judgments. We therefore must all make our own choices based on the information that makes sense to us as intelligent women in control of our lives. If you agree with this statement, as you suggest in this piece, then you will respect Clementine’s right to make her own choices also, even if her choices differ from yours. Did you even read her article? She didn’t have a natural birth.. Nice fact checking. What are you basing that statement about natural birth on A1? When I read the article, I understand that she had an induction, an epidural she “reached into the deepest, most primal parts of myself to bring that baby out into the open”. This is the problem with the glorification and deification of birth. There are so many avenues of interpretation. 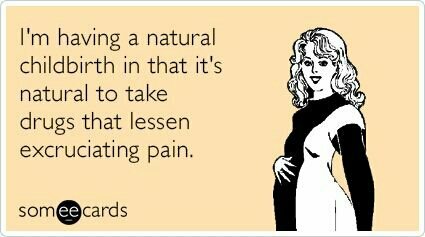 I may consider a “natural” birth a vaginal birth, where you are perhaps implying that a drug-free, or intervention-free, birth is a “natural” birth. These all open up avenues for judgement, because in an act that has been deified, we want to be the ones who did it “right”.